Festivities are in full swing at Bowes-Lyon Partnership which celebrates its 5th year in business this month. Catering exclusively to London professionals, the elite dating agency has won itself a reputation for tact, confidentiality and unrivalled attention to detail. Since launching in 2009 the group has quickly emerged as the principal platform for a discreet dating service with a personal touch. The boutique agency sets itself apart from other dating agencies with a series of USPs designed to offer members an effortless and enjoyable experience from start to finish. Bowes-Lyon Partnership prides itself on a commitment to taking a step away from modern technology and reclaiming the traditional values of dating. Members are hand-paired by an expert team of match-makers who meticulously analyse ambitions, values, interests and anything else that plays a role in creating relationships that last. Unlike the majority of other dating agencies Bowes-Lyon Partnership considers discretion and confidentiality to be of paramount importance. Every step of the match-making process is handled with the utmost delicacy, from initial profile creation to complimentary chats with potential suitors. Rather than showcase profiles and photographs online all member information and details are securely stored and shared only with potential matches. The recent development of the purpose-built Bowes-Lyon Index™ is another way the group helps members find the perfect partner. Fast, efficient and amazingly accurate, the strategic tool harnesses expertise gained from years of matchmaking experience. According to recent statistics from Bournemouth University one in five relationships now starts online. This nationwide trend is only set to grow as more and more professional realise the convenience and romantic potential of enlisting the help of an expert introduction company. Bowes-Lyon Partnership is at the forefront of the movement with its personalised match making service that reinvents the face of conventional dating. Thanks to its enduring efforts over the past five years the agency has fostered the development of hundreds of blossoming romances across the capital. From one year anniversaries to marriage and babies, Bowes-Lyon Partnership matches are built to last. After five years of playing cupid to London’s elite Bowes-Lyon Partnership shows no signs of slowing down. In 2015 the transformative agency has its sights set on expanding its member portfolio, expanding into international markets and implementing the beginnings of an ambitious growth plan. 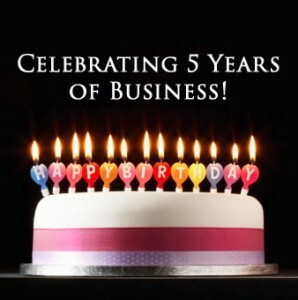 ‹ Happy 5th Birthday Bowes-Lyon Partnership! !